It’s about time we got some new Badges, right? Well, then that’s exactly what we’ll give ya! Today, we’re announcing the Flying High Badge. If you enjoy the finer things in life, this Badge is for you. Or, if you just like to ride in planes, this one’s for you too! 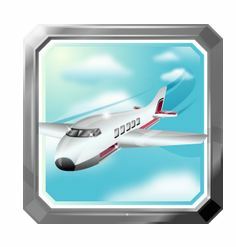 The objective of this Badge and how you can earn the Flying High Badge is by maxing out on your 28-day auction win limit. What’s the payout – 2 free bids, a.k.a. Voucher Bids. Not too shabby. Although it may not give out as much as some of our other Badges, i.e. the 5,000th Bid Badge, it’s still a pretty sweet Badge. We’ve got more Badges in the pipeline, so as always, stay tuned to our blog where we’ll announce them as they launch! Is this not enough? Do you want yet another Badge? Ok, ok… but we’re waiting until next week to reveal that one! Until then, Happy Bidding QuiBidders! The Flying High Badge is not retroactive, meaning if you’ve already hit a previous 28-day limit before this Badge launched, you will need to wait for your next 28-day limit to achieve it.